These days, with a greater emphasis on personal grooming than there may have been in the past – we are spending increasing amounts of time in the bathroom. Homeowners usually don’t need too much persuading that they should give some thought to decorating their bathroom, but the questions that then arise are ‘how?’ or ‘what bathroom decorating themes should I employ?’ and will I need a plumber? All feature heavily in contemporary bathroom decor and are available in a wide variety of shapes. Glass and ceramic fixtures are also very popular these days. Lighting also plays an important part in the bathroom with fixtures ranging from simple to funky and available in all colors, shapes and styles. With good home design, timber flooring not only looks great in your home, but adds significant value. It is so hard-wearing that it’s more than likely it will outlast the residents! Unlike carpets which retain dust, they are far easier to keep clean, and as a result, they are a good choice for allergy sufferers. 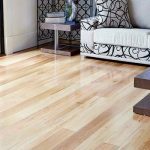 When a homeowner chooses timber flooring, they end up with the most beautiful and long-lasting floor that adds value to the home, be it a new one you are building or an old one you are renovating. The timber comes in many different shades and hues so matching with existing home colour schemes will make life easier. 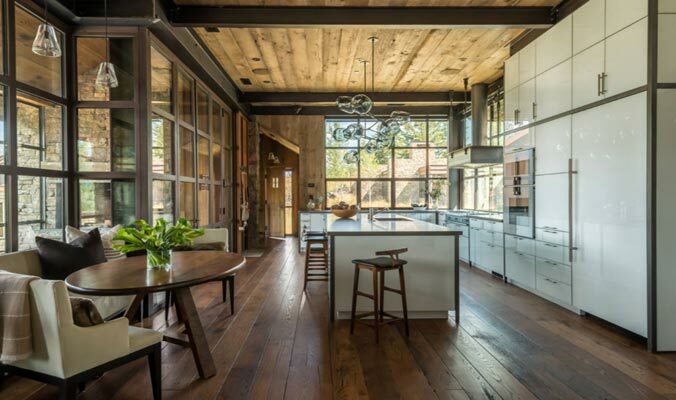 There is a natural ambience with timber and it has a sort of golden glow that seems to fit in with many different styles of décor. With just a quick mop or a vacuum to remove the dust, the timber is easy to keep clean. 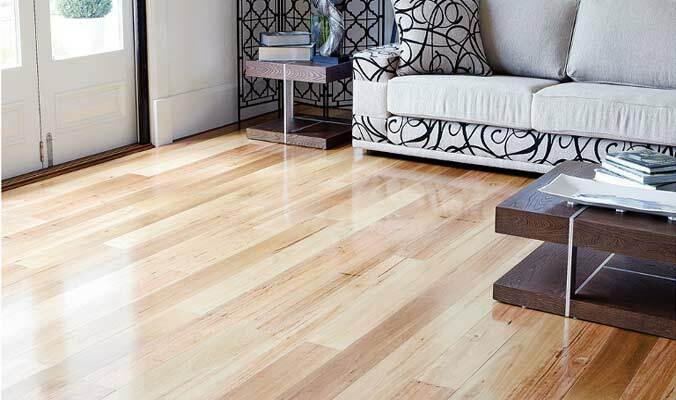 Unlike carpet spills that will leave a wet patch or a stain, spills on a timber floor can be wiped clean in a jiffy. There’s nothing like timber flooring to enhance the looks of any room. In rooms like the dining area or the kitchen spills of grease and food can be easily wiped clean. Even in the family or living room, the timber floor can make it easy on the eyes with no reflection, unlike vinyl or tiles. Bedroom furnishings look super over a timber floor – and you can add a pretty mat if you like to opt your toes on something soft when you first get up. Timber can even be used in the bathroom and laundry if they are properly treated to keep the damp out. Sometimes it’s not hardwood that is used for the flooring. In the case of softwood, the timber can absorb moisture, so humid or damp conditions might make it warp. After a hard day at work, there’s nothing like retreating to your garden to get the stress out and relax. Your garden, be it the turf in your front lawn or in your backyard with plants and flowers, is more than just a feature that enhances your property. Your green space, your creation, is part of your character and it can have a number of different functions, depending on your lifestyle. 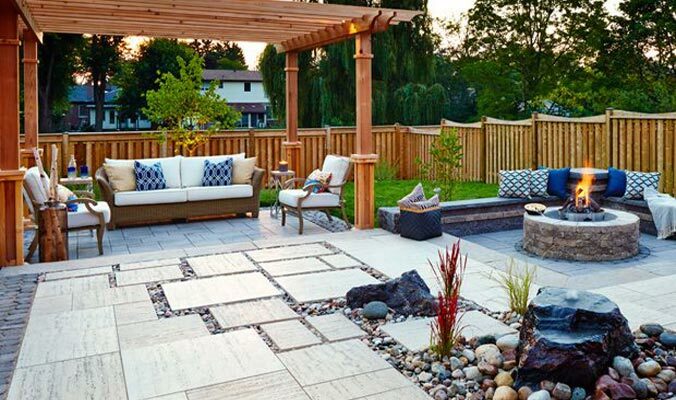 You can transform the whole yard into a great, enjoyable living space. Apply a bit of creativity and a few resources and you will have an exciting as well as relaxing place to spend your downtime. Tip #1: What do you want from your lawn? It doesn’t matter whether you are redesigning an existing area or starting from scratch, what is your overall plan? Do you want some water elements, as they will add energy and peaceful sounds? How about a porch or a patio where you can sit and look at your view? You might love flowers, so flower beds will be the go. Vegetables? Everybody loves growing their own vegies. A herb garden? The design is up to you. You have to make it work, so don’t do a half-hearted job or make it so the garden needs more maintenance than you have time to spare. It’s not a project that ends when the fat lady sings. Keeping your garden in tip top condition is an ongoing labour of love. Keeping your lawn healthy and your plants looking as though they belong in a flower shop is all about maintaining, watering and positioning – sunlight and shade. 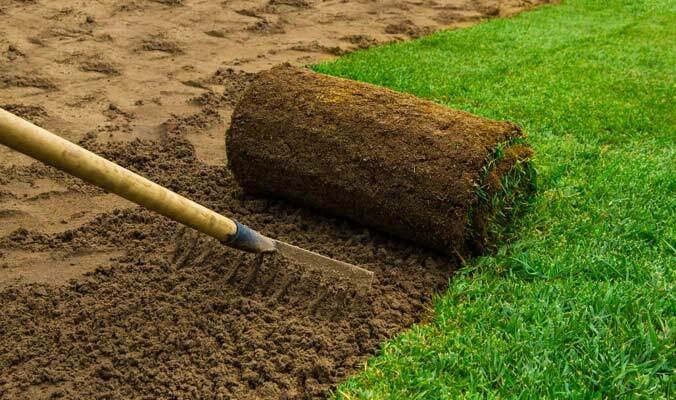 Make sure you have put down the right type of turf that grows best where you live. Without customers a business will go broke, not matter what kind it is. That is why most businesses try to cater to the needs of their customers, including providing shade sails in an outdoor setting. If you are considering such a purchase, it is wise to do some planning beforehand so you know just what is needed and where, before you go ahead. After all, no one understand your business the way you do. One thing you have to realise about shade from a sail and that is, it will not be there all the time. As the position of the sun shifts throughout the day the shade the sail throws will move. So when planning on the position of the sail, you’ll need to have shade in a specific area at the time when you have most customers. That way you’ll be able to please the most people and get the most value from your investment. However, you may be installing the sail for a different reason. It could be to stop the glare of the late afternoon sun shining through your shop window where it not only fades the colour of goods displayed, but makes it difficult for customers to see the floor display from inside, if they are looking towards the window. When it comes to patios, Perth residents really appreciate having the chance to enjoy some time outdoors with shelter and shade when necessary. Perth is in an area of Australia that experiences hot, dry summers and cooler winters. But those cool winters are nothing like many other areas; no snow and little in the way of biting cold wind. 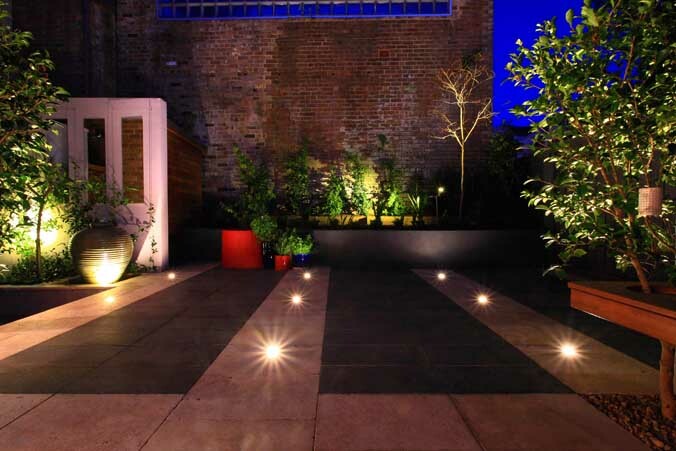 So patios make the ideal way to extend the floor space of their homes and enjoy an outdoor room during the day or evening. The main reason for shelter in Perth is the heat of the sun, which is why many patios come with insulated roofing. Even if there is only one wall, that type of roof acts like a dense, green tree; it keeps the shade underneath pleasantly cool, even on hot days. Like many areas, Perth gets its share of wind, both hot and cold. So if you are considering adding another wall to the patio to block the cold wind, make sure you don’t also block that cool, refreshing breeze coming in from the ocean in the summer. Then it will be the ideal place to cool off in the late afternoons. 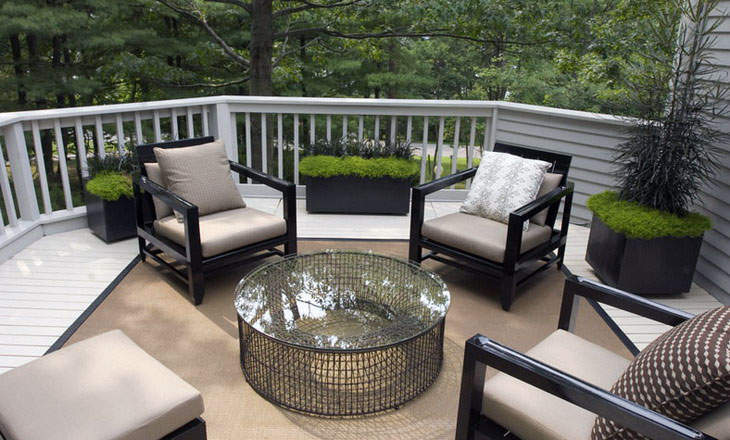 Once the patio is installed, think about the best way to furnish it to suit your lifestyle. Many people add a fireplace to the patio so they can use it even in the winter months. In Perth, a fan would probably be a better option. A comfortable outdoor sofa, a colourful rug underfoot and a table will certainly help to make the area suitable for alfresco meals and leisure time relaxation. Some summers are much hotter than others. 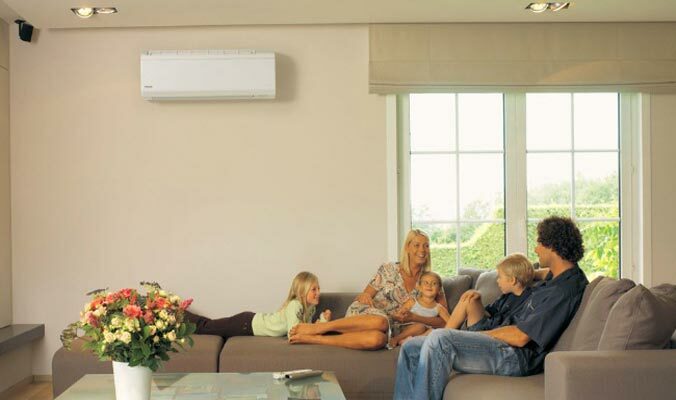 Whatever the reason for hot weather, it is really lovely to be able to relax in a home cooled by a split system air conditioning unit when the outside temperatures are soaring. You sleep a lot better when it’s cool, so you feel much more energetic the next day instead of going around feeling like a wilted lettuce. If you don’t yet have any air conditioning in your home, here are some of the advantages of having a split system installed. Biggest advantage? You’ll feel much cooler day and night. A split system is easy to retrofit, meaning it can go into a home that is already completed, no matter how old it is. So long as the home has electricity. It is quiet. You will hardly hear it inside and even outside, the more modern units are whisper quiet, so you don’t have to worry about annoying the neighbours. It is relatively inexpensive, much less cost to purchase and install than a ducted system. If you get a reverse cycle one, it can be used for heating in the winter as well as cooling in the summer, so you get more use out of it. It is easy to maintain. All you have to do is clean the filters. It should also be checked every so often by a professional. It is cost effective to run, especially the later models. You’ll find it costs less to run during winter than radiant heaters and especially fan heaters that are notorious for gobbling up power. It doesn’t interfere with the view from the window like a smaller one would and it is aesthetically pleasing. Solar heating. This doesn’t use solar panels like solar electricity. It uses rubber matting on the roof of the house. 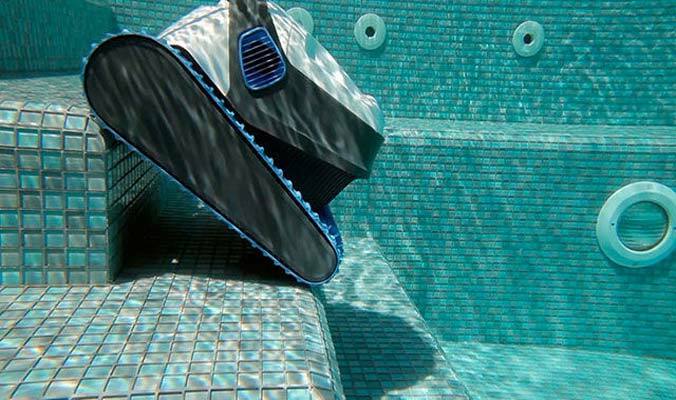 The sun heats the matting and a pump pushes pool water through it. The water is warmed before returning to the pool. This is good for people who live in sunny climates and have a large roof space. It may not be so good an option for those who live in areas where there is often cloud cover. It is most effective if the matting is installed on a north or west facing roof and the area of matting equals about 80% of the pool surface. It may seem strange, but this same set-up can also be used to cool the pool water down, for those who live in tropical climates. The water is simply pumped through the matting at night instead of day. 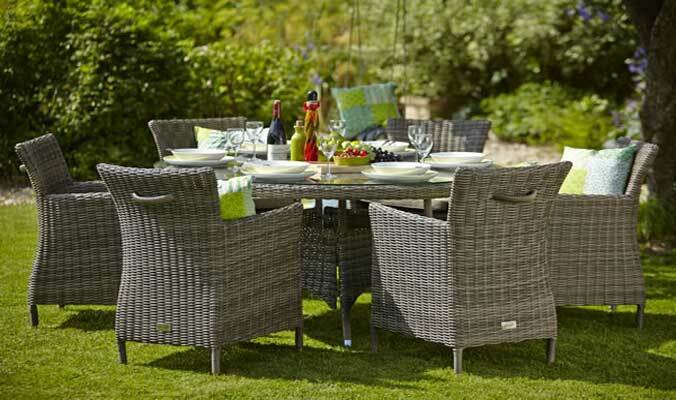 There is a lot to consider when purchasing outdoor furniture and to get the most suitable, everything should be taken into account. 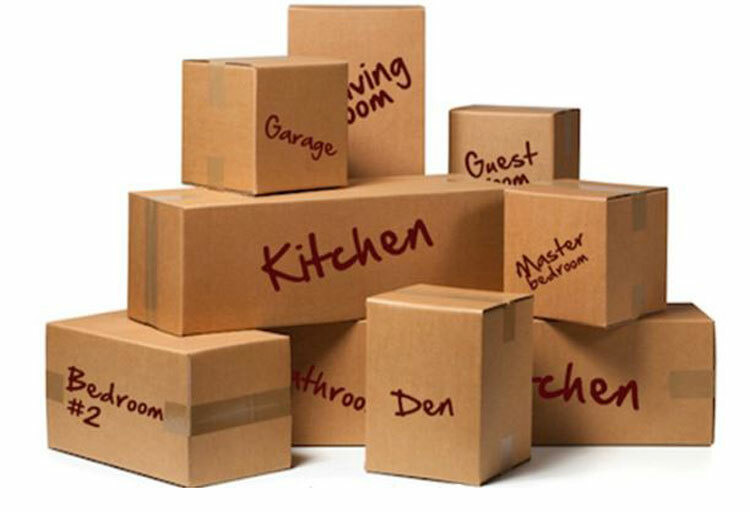 Things such as your usual weather, if you will want to move the furniture around, if it is to be placed close to a pool and what kind of surface there will be under it are all important. It is a decision that should not be made in haste if you want it to be the best for your lifestyle and climate. However, there is another important factor and that is comfort. If the furniture is not comfortable you will not want to bother using your outdoor haven no matter how balmy the weather is. So your comfort level should be assessed and taken into account before making the final decision. How? Here are some tips. Think about what chair you find most comfortable to sit in when inside. Is it a lounge chair or dining chair; a bean bag or a bench seat? Do you like to have a soft or firm backrest – or none at all? Do you have a bad back or an injury that needs support when you sit? Do you like to have your upper legs supported as well as your seat? Are armrests essential or don’t you care one way or the other? Is your idea of relaxation putting your feet and legs up, or do you prefer to keep your feet on the ground? Do you love to gather around a big table with your family and friends, or would you prefer to have the chairs spread out with some side tables for when you need them? If you are after home improvement ideas, then Limestone flooring features superior comfort all the time. It has the endurance that most people would like. It is also presented in various colors that would match any kind or type. Basically, it will always be a classic flooring selection to pursue. It is recommended with its organic color palette which may always add an old and classic charm to a décor. 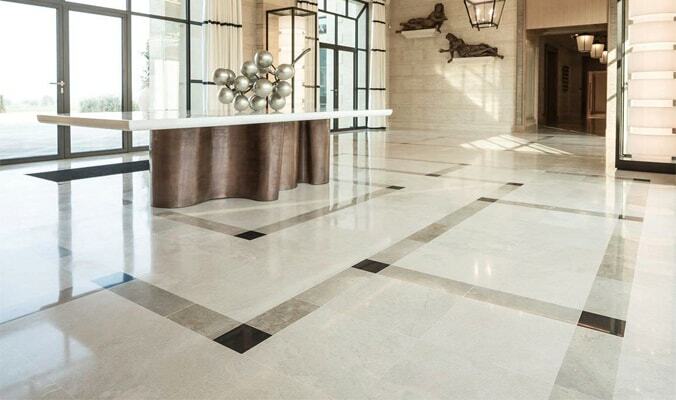 Today, there is the modern limestone floor tiles starting to gain attention. This may be cut in large-format. There are times when it can be in plank. Other instances, it may take geometric shapes. This only goes to show that it is really versatile. Limestone tiles have always been a neutral palette. In appearance, they are highly textured. A tile flooring made up of limestone is a perfect example of natural beauty. It somehow resembles the look of hardwood. With this, one thing is for sure – this property will give user a natural stone product which is hard-wearing and long lasting. 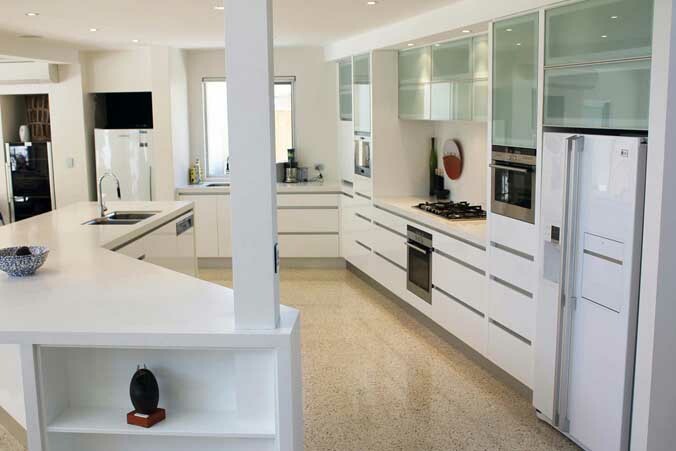 This is also perfect for people who want to achieve a modern take on their classic limestone. 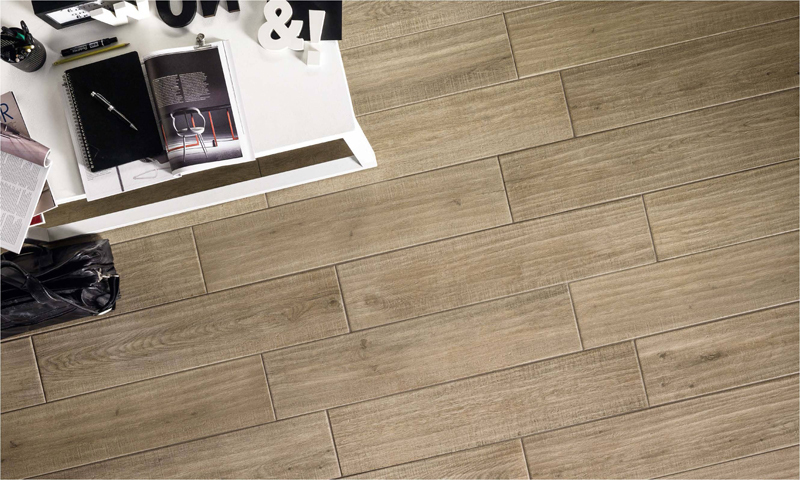 This tile has the semblance of the natural variations of hardwood. It is just that in this take, it is packed with natural stone. This will add a textured and rustic charm to a room. That is for sure. Even in the last decade the popularity of Colorbond roofing has increased by a large margin. There are various reasons for this. Put simply – it looks good. 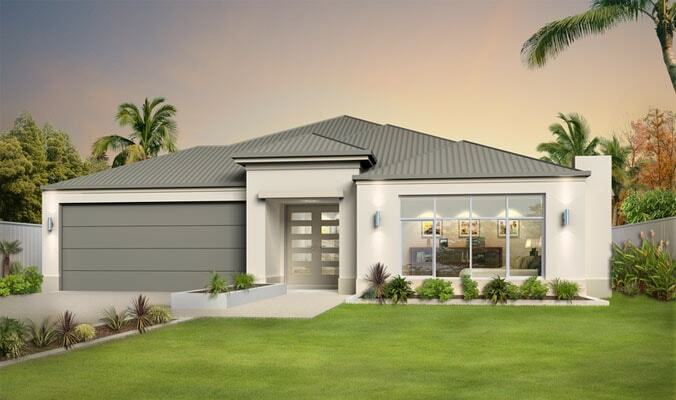 The clean, elegant lines enhance just about any housing style you could think of from old-fashioned country homes to the most modern urban development. You can get it curved so those that want this particular style for the veranda are happy. There are many colours to choose from and many of them blend in with the Australian environment. Various shades of greys, browns, green and creams are taken from different aspects of the Aussie landscape such as eucalypts, mangrove swamps, sand dunes, coastal coves, outback deserts, and even some wildlife colours are used to create a palette of colours to delight everyone. Because there are so many colours it is easy to choose one that will match in with the rest of your home. You can even add a feature wall or fence to match, creating a cohesive look to the whole property. 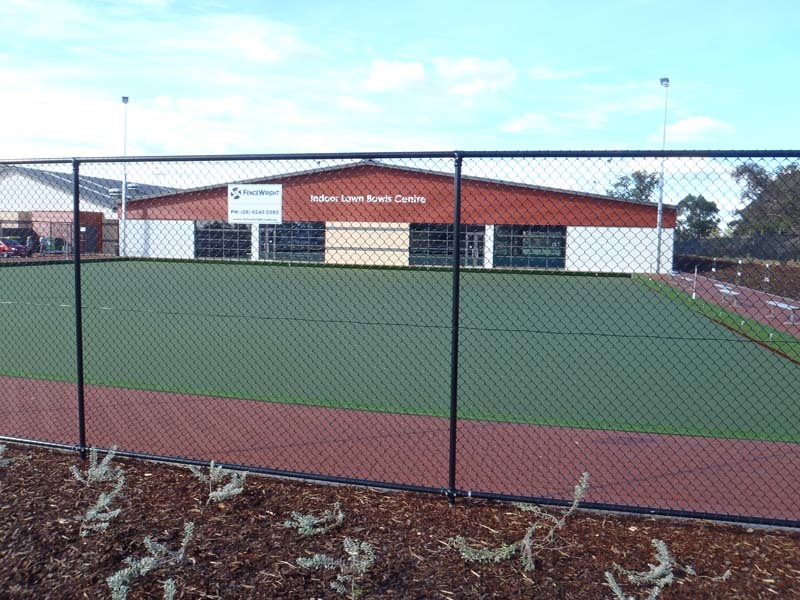 Colorbond roofing is a strong and sturdy material that has been developed especially for Australian conditions, so people know they are getting a product they can trust. Many people are also happy to support an Australian company by purchasing their products. It has thermal properties that help to reduce the costs of heating and cooling a home over its lifetime. 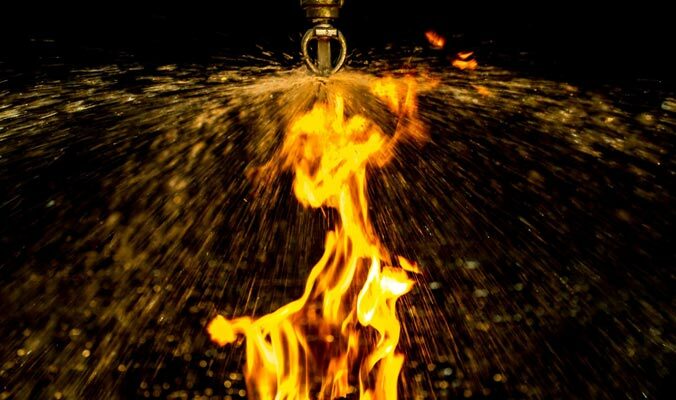 It is ideal for bushfire prone areas as it is fire resistant and provides few niches for live embers to get stuck in. Rather, they blow off or go out before they can set fire to your home. It is low maintenance, so you spend less over the lifetime of the product. You take your love of gardening to a whole new level — to the balcony! A balcony garden could be simple or complex, depending on the type of plants and the garden style you choose. Since balconies have a different climate than natural ground soil, the plant choices may vary too from your backyard garden. How large the space should be, has to be the fundamental question in your mind when planning planting in your balcony. The choice here has to be specific and has to be noted for the size of plants to choose from. The sunlight your balcony gets every day (for how many hours) has to be noted. Approximations work sometimes, but if plants selected for your balcony garden are sensitive to the scorching heat of the sun, then it is better to have accurate estimates of the sun’s exposure. How much time would you be able to give to your plants out of your busy schedule? Water availability is also an important factor to keep in mind while selecting plants for your balcony garden. The budget has to be the first consideration as further planning is dependent on it. The windiness and overall temperature has to be monitored for some specific plants. Also, in case of growing edibles, more careful selection and processes would be involved. Also known as the Boston sword fern, this plant grows like a shrub and is ideal for pots. For balcony garden, a dense plant like this makes for a tranquil green background for the more colorful smaller plants to be grown in the fore. Office gardens! That sounds green. Who said you need to wait for retirement to enjoy the gardening sessions and aesthetics plants offer? Offices can have gardens too, in the front yard or rooftop, depending on the space available! As with the practices of corporate social responsibility, companies are increasingly going green inside the office premises too. Firms are realizing the advantages of converting some area of office space into natural space with greenery and beautifully designed landscaping that not only capture the attention of the visitors but also keeps the environment fresh and energetic. They’re often known as Corporate Gardens and are a growing trend nowadays regardless of what the organization has as a business offering. The corporate gardens possess nature’s rejuvenating qualities that inculcate optimism in humans. The greenery allows the brains of employees to relax and focus better on the tasks at hand. Teamwork and problem solving skills are enhanced with healthy brain activity and engagement in gardening tasks in spare time. This allows them to focus on the pressing issues at work and fosters better problem solving. No time for yoga after work? Not an issue at all with your corporate garden. 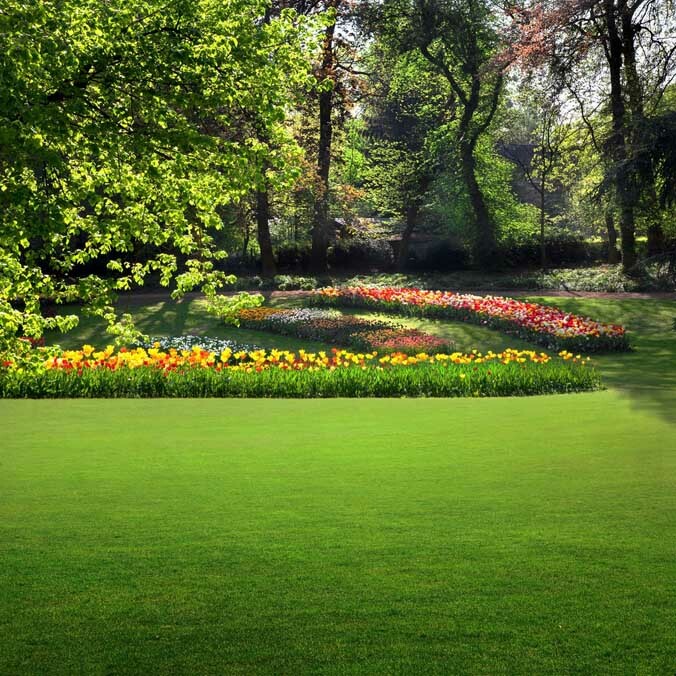 These gardens are naturally engaging and some amount of manageable exercise in these gardens help release endorphins that are the stress buster hormones. Meditation is an essential tool to relieve oneself of all the worries and ruminations, and provided a chance at the workplace, your employees are more likely to stick with your organization for long. These days more than ever, security doors are essential to keep our homes and loved ones safe. Since most thieves try to enter by the door first and foremost, this is the most important place to ensure security. This is usually accomplished by adding a screen security door, but are these as strong as they look? Unfortunately, many of the old style grille doors are not and here is why. There are three main points of weakness in a security door; the place where the mesh joins the framed edge, the screws that hold it all together and the hinges. Even though the lock may be strong, if the hinges are weak anyone can easily remove the door on that side to enter the home. In addition, in some of the older style doors the actual mesh could be cut rather easily, so they don’t really do a good job of providing security at all. Many of the old style security doors used wedges to join the mesh to the frame. One good kick and these will pop out, allowing the mesh to be easily removed. Premium security doors have screws instead of wedges. The screws go right through the mesh into the other side of the frame, making it kick-resistant. The screws are specially made to fit the mesh and clamp it into place, deep within the frame. 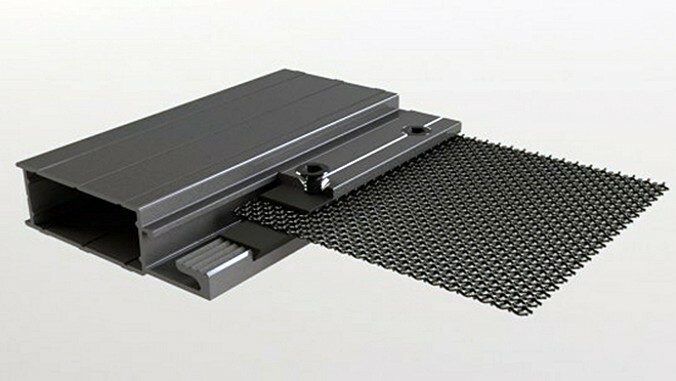 No amount of kicking or pulling will remove the mesh from the frame using this kind of technology. 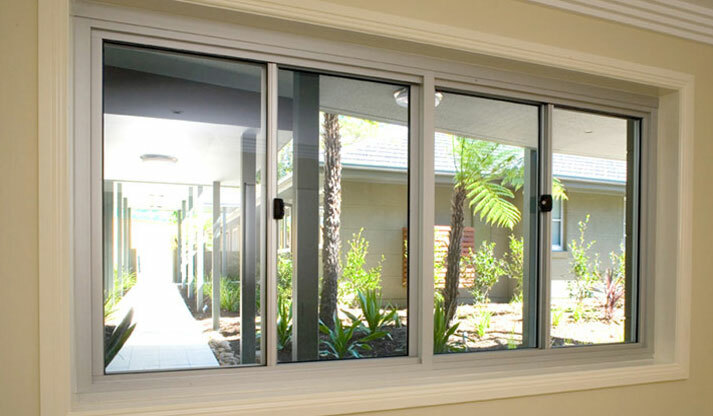 In fact, such doors meet or exceed all the Australian Standards that are now in place for security doors. The strength of the mesh is another important factor in providing good security. Old style doors had mesh that could actually be cut with a sharp knife. Premium doors use new technology to make mesh that can withstand such objects. In addition, they have the horizontal mesh – that takes the most punishment in an attack – over 26% thicker than the old style mesh. And because it is tensile stainless steel mesh, it is not going to rust out like the mesh in many of the older style doors did. It passes the Shear Test, the Knife Test and the Pull Test to mention just a few. You can be sure that any burglar is likely to give up in despair before ever getting into your home when you install premium security doors. With increasing floors being built in commercial buildings, such as shopping malls, hospitals, or offices; installing elevators has become a prerequisite. However, elevators used for commercial projects often differ from those installed in residential structures. This is because when it comes to commercial buildings, different types of elevators can be installed for different functions. 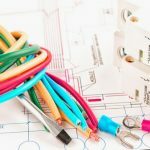 Since the elevators installed in commercial areas are for the use of the general public, there are also some laws that state the requirements for their proper installation. Hence, any incidents concerning a commercial elevator may lead to a lawsuit against your company. Therefore, it is necessary to meet all the requirements to the letter. Below mention are some benefits of installing commercial elevators in your official building. Hydraulic or electrical elevators are commonly used in commercial buildings as they are better equipped for high speeds and lifting heavier weights. These types can carry up to six thousand pounds of weight. Furthermore, the hydraulic elevator can carry loads at the rate of 200 feet per minute; whereas electric elevators can move with the speed of 500 feet per minute. Aside from offices, elevators are also quite useful in hospitals; not just for people with physical conditions that do not permit them to use the stairs, but also for moving patients on stretchers to different floors in a lesser amount of time. People on wheelchairs can also commute easily on such elevators as they are usually designed with wider doors and have space and weight capacity for a larger number of people. Setting up and maintaining commercial elevators, is far easier than you think! Even if you did not leave any space for installing an elevator within your architectural design; you can install small commercial elevators whenever the need arises. 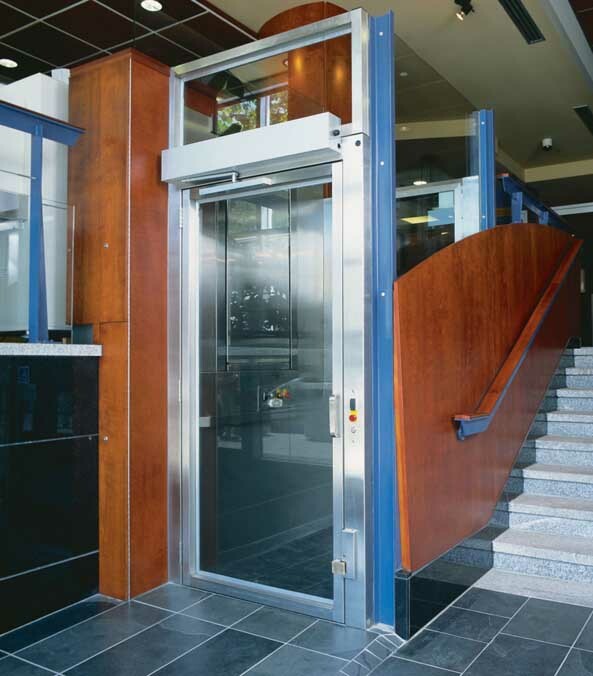 Different types of commercial elevators such as; porch lifts and LULA (Limited Use Limited Application) are also widely used at workplaces. 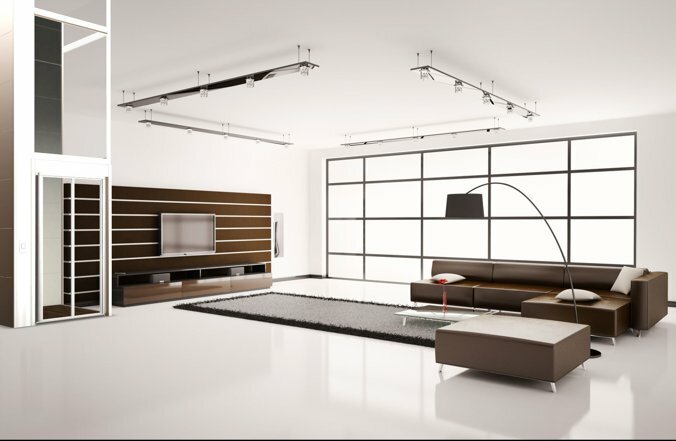 These are cheaper as well as easy to accommodate in small spaces without needing any changes in the building structure. 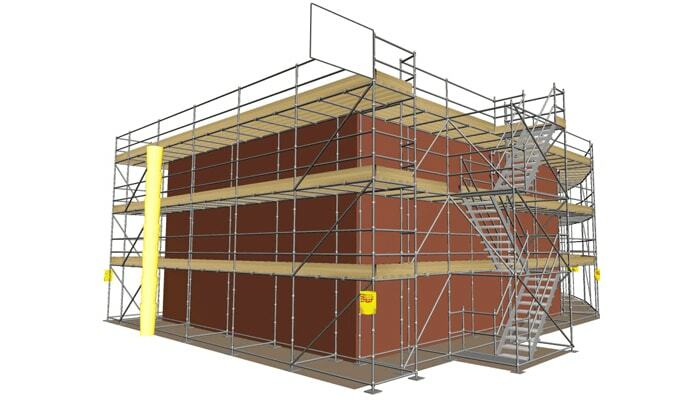 Many people these days enjoy living in a two or even three storey home. They have more room and can enjoy the view and the upper breezes. But one thing they may not enjoy so much is going up those stairs, especially when they are feeling tired. Home lifts are the obvious choice for homes with staircases. 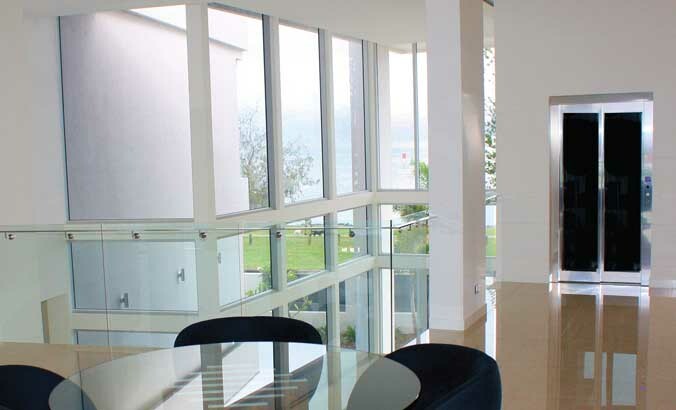 There are many advantages of installing a home lift; here are 4 of them. Save carrying heavy weights upstairs – a home lift is a quick and easy way to access the upper storey/s of your home when you have heavy loads to carry up. Groceries, luggage, furniture and home accessories are all too heavy to cart up stairs. Furniture is often too large and awkward to get around the narrow stairs, especially if there is a landing and bend in the middle. Ease of use – lifts are much easier for older people to use. Anyone with arthritis or other health problems that make them weak will appreciate having a lift instead of using the stairs. Children can learn to use a lift at an early age and it can save them falling on the steps. Using a lift is quieter than those rattling footsteps on stairs that are not carpeted. 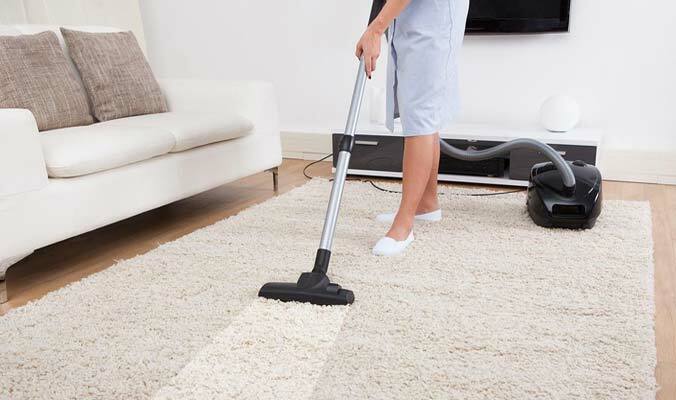 Easier to clean – vacuuming stairs is difficult at the best of times, and they seem to get dirty more often than the floor due to the concentration of traffic on them. A lift can be vacuumed in a few minutes compared to the stairs and it takes much less effort. Safety – it is much safer to use a lift than to use stairs, no matter whether you are young old, strong or weak. There is always the possibility of falling when coming down or even going up a staircase. In a lift, there is no likelihood of falling. You can even have a chair to sit on in the lift if you want to. When you are carrying a baby in your arms, or are pregnant, it is much safer to use a lift than to go up or down stairs. Having a lift will enable you to stay in your home even when you become frail with age. It will increase the value of your home and make it suitable for a wider demographic should you decide to sell for any reason. Thus, the house is likely to sell more quickly so you can get on with the rest of your life. Once you have a lift installed you will not be able to believe the difference it makes in your life, being more convenient and pleasant to access those upper reaches. Many commercial or industrial properties need to have secure fencing to keep intruders or vandals out. Some need to also keep animals out or in. 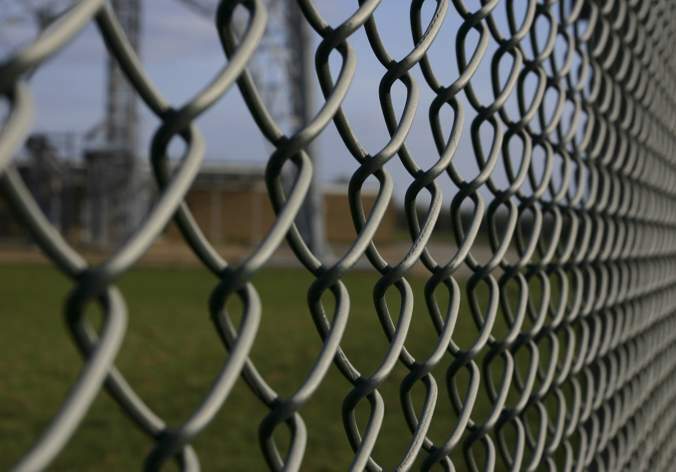 The kind of security fencing chosen usually depends on the needs of the company, but other factors sometimes have to be taken into consideration. Climate, position and the type of ground – steep or flat – are all important aspects of choosing fencing to secure your site. Having the right kind of fencing in place will give you peace of mind and reduce the costs of repairing damage. It can even avoid litigation if someone wanders onto your site and is hurt. Even though they were not supposed to be there, they can still sue the company if they get hurt. 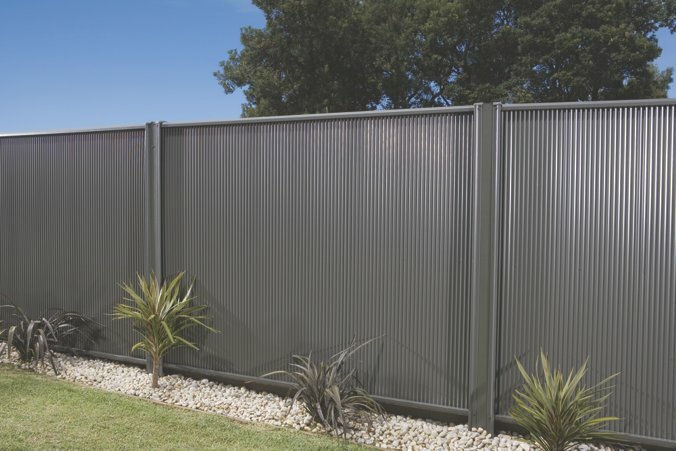 Here are three of the best types of security fencing. Chain link or mesh fencing. While you may think that chain link gaps can provide a toehold, the top being curved makes it very difficult for any athletic intruder to actually complete the climb in. Chain mesh fencing can be of various heights to suit your needs and the gaps can also be larger or smaller. There can be a single or double curved top with barbed wire along it to discourage climbers. It can also have a cement footing so no one can dig under it. It can be used for mining sites, sporting fields or community pools and many other applications due to its versatility. It is also a cost effective option for low security areas. A higher level of security can be gained by using Garrison fencing. Tubular steel posts are attached to horizontal steel rails between steel posts that are cemented into the ground. Again, this type of fencing can be higher or lower, but the higher option offers better protection. It is often found around commercial properties, sporting fields, government facilities and schools. 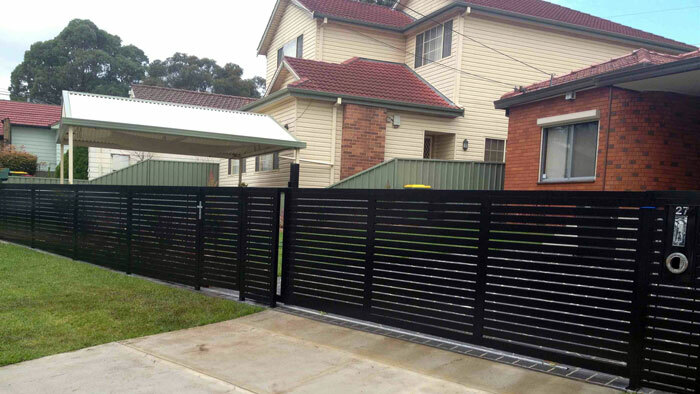 It can be finished with powder-coating – often chosen where it is important for the fence to look attractive. Hiring a professional for kitchen renovation typically leads to one having to stretch their budget, but did the kitchen need a new look at all in the first place? Kitchens do not need to be broken down into pieces to form a new one when you’re not investing that much capital in them. Going economical asks for ideas to renovate the most important part of the house with relative ease. Be your own designer and revamp the look of your kitchen to give it a boost of energy and you more enthusiasm to chop on. You don’t need a kitchen designer to do that anyway. Grab the right tools and start sweeping the floor and cleaning the entire kitchen, the first and foremost step in kitchen renovation. It requires only a few tools and surface cleaners to give a fresh look to your kitchen. Dust off the ceiling fans and exhaust fan, remove grease if any. Cabinet interior and exterior could be wiped for a clean look inside out. Scrubbing floors and hidden corners makes your kitchen shine out in the end combined with other efforts. It’s better to dismantle light fixtures and give them a fresh look if they’re intact and there isn’t a dire need to change them. Play with colors in your kitchen. If the walls need a fresh coat of paint and the cabinets are just shabby looking from outside, they could be renovated with a fresh paint and some bright colors to light up the place. The colors should be in contrast with the woodwork and the size of kitchen with other considerations. Turn the boring cabinets into shelves by removing the doors which have been broken or damaged and fill out for any void before painting them into new shelves. It is an easy to manage style and gives a good display of your crockery collection. If removal of cabinet doors makes them look too bland, you could always embellish them with wallpapers in background and glass doors. 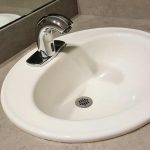 With a large number of variety and styles available in faucets and sinks, you’d be amazed how choosing one for your kitchen gives the distinct modernized we’ve all been aiming for. The sink could also be replaced by a bowl and the fruits to be washed would look like fruits on display. Who Needs a Home Lift? Most people who think of lifts, envisage them being in high-rise apartments or places like hospitals. However, these days it is becoming more usual to see home lifts in private homes. You may think that is only the frail elderly that would need to have a lift in their home, but in fact this is not so. When you think of the energy expended going up stairs and the difficulty of taking goods up and down you will soon realise that having a lift in the home is a necessity rather than a luxury. Very often, the ground floor of the home is used for the garage and outdoor living accessories. That means you need to carry all your groceries and every single thing you need in the home up the stairs. Hauling all your groceries out of the boot of your car is bad enough; carting them up steps and stairs is worse still, especially when you are already tired from a day at work. So you don’t have to be elderly to make good use of a lift. Of course, the elderly will certainly benefit from a lift in their home. They are the ones who are most likely to stumble and fall on stairs. Such a fall could easily break multiple bones and they may never recover. It is a shame to see their life ended prematurely all for want of a simple lift to help them up and down the stairs. Older people will be able to stay independently in their homes for much longer when they have the aids they need to make life easier for them. And if they need to use a walker, it is much easier and safer for them to use a lift than to try and get that walker up the stairs or down. The work space needs ample lightening, and so does your home, but in order to moderate the searing sunlight and create an aesthetically pleasing ambiance for your office or home interiors, blinds are a great option to go for. A wide range of options is available to beautify your humble abode or sophisticated workplace; blinds are also a great option for home based offices as they differentiate the ambiance from that of a house. Pleated sheets, while being the widely used style of sheets used in offices and houses, have other competitors too. Wood works never go out of fashion, not even in blinds for your home or workplace. There is a wide variety of styles when it comes to wooden blinds, from maple to bamboo and more, depending on the produce and prices in area. The wooden blinds look amazing if the furniture is traditional in style and flooring is wooden too and surprisingly it doesn’t look like ‘nauseatingly woody’. The workplace looks rather elegant and warm with wooden blinds and gives a classy look to the entire ambience with rich wooden office furniture. To hide or not to hide! This style of blinds is a horizontal design with sheer cloth that does not block the entire view but creates a translucent version of it. These shades are good for the areas where the light is needed but privacy has to be kept in mind too, such as bathrooms and kitchens. In case of internal glass partitions in offices, these sheer blinds work well too. The vertical blinds are often seen hung on patio doors but are not limited there. This is one of the most common styles of blinds for home and offices as this allows necessary sunlight to sift through. Also, the vertical blinds are easy to manage as they don’t tangle and very easy to clean frequently. When you’re looking for fun, you often head off to a variety of different places. However, what if you could get all the entertainment options that you need, right within your home? Imagine the amount of money you will save and the number of parties you could throw, and that too, at your own home! It doesn’t matter how old you are, anyone can take advantage of a designated entertainment area within the house. 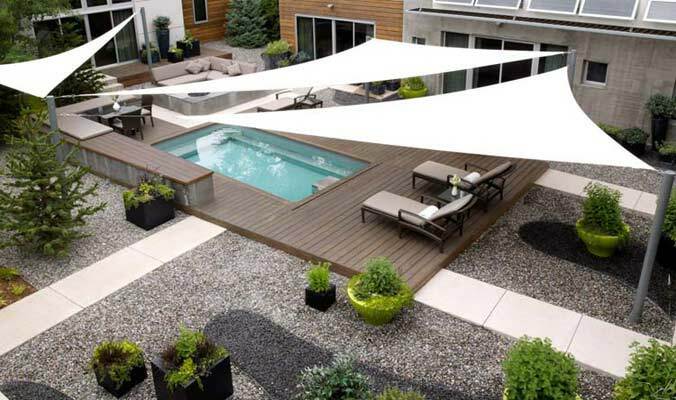 Following are the 5 reasons why you must have an outdoor entertainment area in your home. Adding a deck, patio, or a gazebo to your home will enhance the outer beauty of your house and built up an alluring ambiance, which will make your property standout from the rest. You will also feel a sense of pride and happiness by being at home. With a separate space for parties, you can easily hangout with your family and connect while having fun at home. By setting up a heater or an air-conditioner, you will also get the chance to enjoy yourself in all kinds of weather indoors. Moreover, while making changes to the home, if you add swings and slides in your own yard, your kids and their friends can enjoy themselves within the comforts of home. That way, you’ll be able to keep an eye out for them as well. A fence is not only used to create borders around your property to separate it from the neighboring plot. Rather, it is also ideal for maintaining the security privacy of your home. It also beautifies the exterior of the place and makes it look different from the rest of the structures built in the locality. There are different types of fencing used for residential and commercial purposes, depending on the requirement of your property. For most people, security is an essential factor that contributes to the buying and building decisions with regard to fencing and they either opt for a house with a pre-installed fence or install one, themselves. Many households commonly use aluminum fencing. However, it only enhances the exterior of the house and gives it a definite boundary. It is not beneficial if you want to enhance the security of your home. 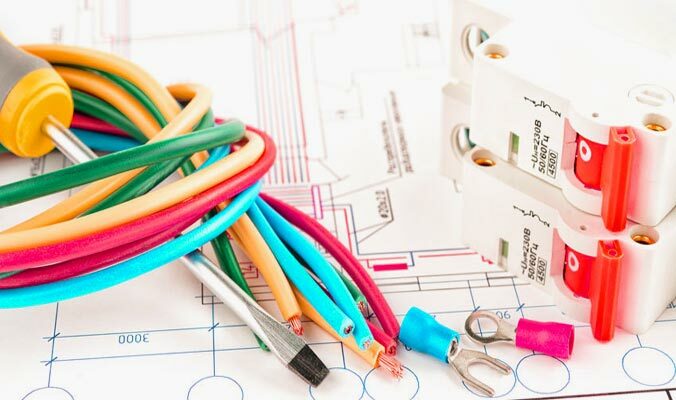 On the plus side, the only maintenance it requires is during the process of installation which includes, painting and decoration, but other than that, it is hassle free. A great lawn rarely happens by chance. 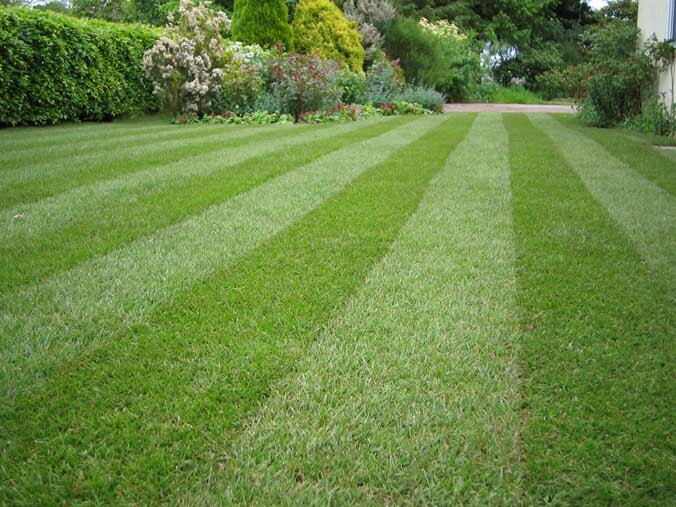 It is the product of careful planning, choosing the right lawn grass, having good soil underneath, careful mowing to the right height, fertilising and of course, watering at the right times. Many Australian lawns don’t get this kind of care and it is not long before they develop bare patches which Mother Nature soon fills in with weeds – often prickly ones. As property sizes decrease, lawn sizes shrink with them, but that doesn’t mean you have to neglect your grass. It simply means it is easier to take care of and you will have time to play golf. Another way to have plenty of time for golf is to install an automatic watering system. The correct system for your lawn will not only transform it into a verdant carpet the kids will loving playing on; it will save water. 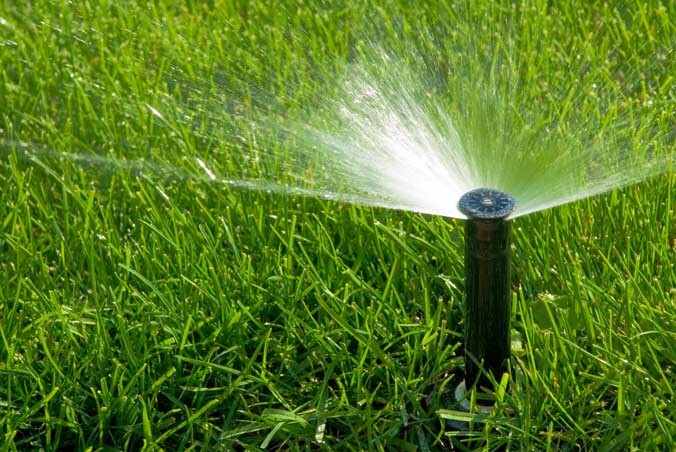 Modern technology has caught up with things like pumps and sensors, so you can have an automatic reticulation system hidden away under that green carpet and know that it will not automatically water your lawn even though it has recently rained. Sensors will switch it off even if it is just about to rain. And you can add specially shaped nozzles that will avoid watering your driveway or the neighbour’s yard. Mowing techniques are important too, to keep your lawn looking good. If you allow it to get too long and then mow it short on a very hot day, there will be numerous brown patches – sunburn due to the soft stems being exposed. Sometimes this will even kill large patches of grass. On the other hand, if you mow constantly at near ground level, the grass will become weaker and soon there will be weeds growing through it. Mowing regularly about 40mm from the ground will allow your grass to grow those leaf blades that are soft and green, yet strong enough provide a good ground cover that will keep out weeds and shade the soil. It is also important to keep the mower blades really sharp, otherwise the grass will go white in patches due to tearing damage. 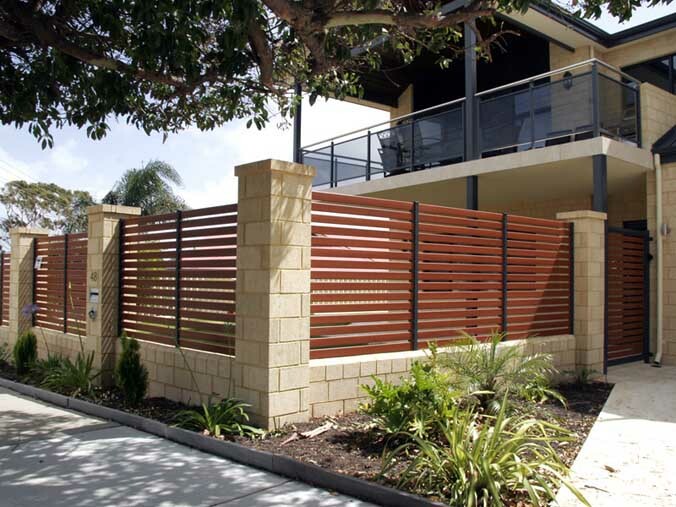 Choosing a fence to suit your home is not difficult; it just requires a little forethought to ensure you get the best kind of fence for your needs. And of course, you have to make sure it is of the type that has council approval. Once that is settled you can go ahead and choose from the options that will suit you and your lifestyle. Here are some things to think about to guide you in choosing the best fence for your needs. What is your reason for getting a fence? Is it to keep pets or children in, or to keep intruders out – or both? Many people do not feel the need to keep other people out with their fence; they rely on their security door to do that. However, if you have little children you will need to keep them contained so they don’t wander away. Having a fence you can trust to keep them in will allow them to play outside without you having to watch them every minute – at least, once they get old enough not to fall over. A fence to keep children safe may also need to be one that keeps intruders out, especially if your home fronts a busy street. It may need to be one that an adult cannot climb over. However, if you feel that would be unattractive, consider having two kinds of fence; one for the backyard where the children will play and one for the front that will look more attractive. Does it Suit Your Home Design? Certain homes suit certain types of fencing. A picket fence done with timber palings and painted white will suit Federation style homes and many other older styles of homes. You can also have a picket style fence done with steel posts that have fancy tops that make it difficult or impossible for anyone to climb over. 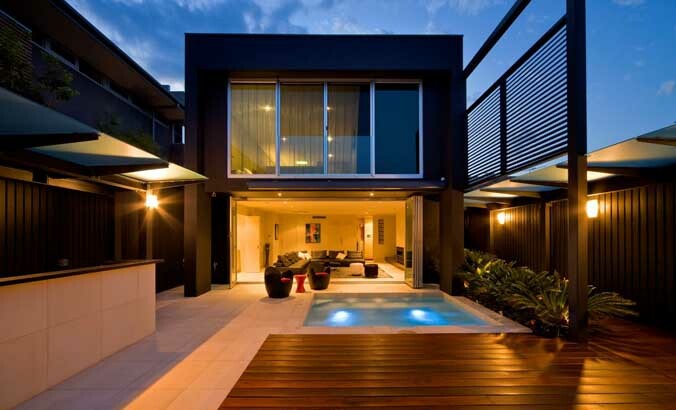 More modern homes will look fine with Colorbond fencing or even steel mesh. Should I Invest in Security Doors or Home Alarm – or Both? In a day when security is essential for the home you may be wondering what kind will give you the peace of mind you need. Many people have more than one type of security, so should you have both security doors and a home alarm installed by an alarm company or a simple solution installed by a handyman or just one? If so, which one? To decide, you need to think like a burglar. Suppose you were on the point of robbing a home. What would put you off more; a door that was difficult to get open or a shrieking alarm? 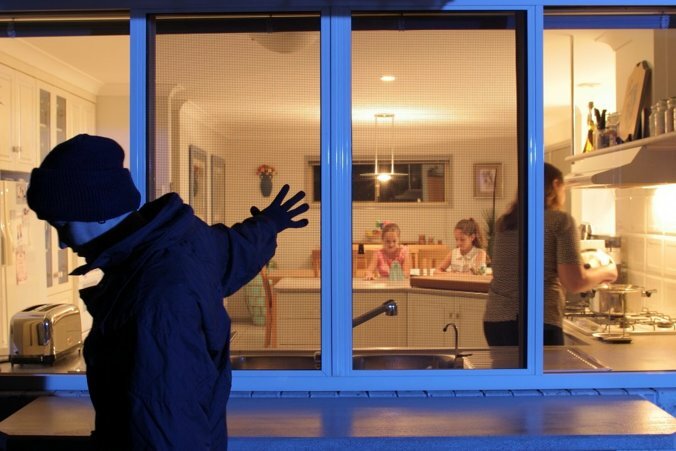 Burglars have more than one entry point to a home. If they cannot get in the door, they are likely to try the window. They may even smash down the wall with a stolen vehicle. But once that alarm goes off – an alarm that everyone can hear, they would be out of there as fast as they could go. Even if the alarm system was only heard by the police or security company, the burglar would realise that someone would soon be coming to check up on the property. Or that the people inside would quickly be aroused from sleep. However, some homes are robbed or vandalised by the opportunistic thief. This is a person who robs on impulse as the opportunity arrives. They may knock on a door and if they find no answer proceed to break and enter. But if the doors are the premium security type they will go away disappointed because they feel going through window is too difficult or too visible. Of course, if an alarm blared out as they smashed their way in they would run, too. Which is your favourite room? Many people would think that the home theatre, living room or bedroom is their favourite room in the house, but in actual fact the kitchen should get a spot up there on the favourite list. When you think of it, without a kitchen, a home is really not a home at all. This is because we need food and if we have to go out and get it all the time we won’t be home very often. The kitchen provides food for the family, but it does even more than that. Food sustains us, but it also brings the family unit together for something that is essential but also pleasurable. Most people like eating especially when they are hungry, but when food is cooking in the kitchen the tantalising aromas draw the whole family together in anticipation. 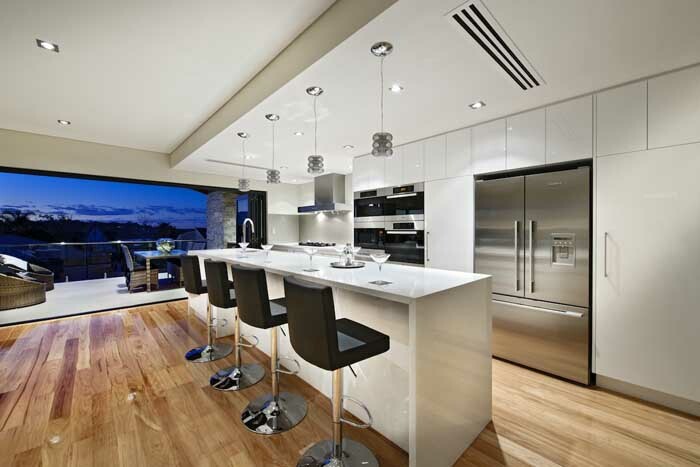 With the help of expert cabinet makers, the fully functioning kitchen that is designed well, the kitchen springs nourishing food to keep the family healthy, birthday cakes that may be unhealthy but are still an integral part of family life and our culture, food and drinks for snacks and so on. All these things are an essential part of life and our lifestyle, and encourage families to get together for social interaction. When Mum – or Dad – is in the kitchen cooking, the rest of the family know where to find them and often join them to talk about matters that trouble them, or get help with homework and talk about their day in general. The balcony is a place where you can sit and relax after a hard day’s work. Having a few plants growing in pots on the balcony will enhance the look of the space and increase your enjoyment of it. However, it is essential to take note of just what the weather conditions are like. High balconies are often cool, windy places; others may be exposed to hot sun all day long, while still others may be on the shady side of the building and not get much sun at all. Then there are those that have shade for most of the day, but when in sun it is scorching hot. If your balcony is like that, choose shade-lovers and use a screen to shelter them from the sun. Most plants need a certain amount of sun to grow successfully, but if you have a shady balcony you can still grow shade-loving plants such as ferns. To get colour, use plants that have colourful foliage like coleus and begonia. 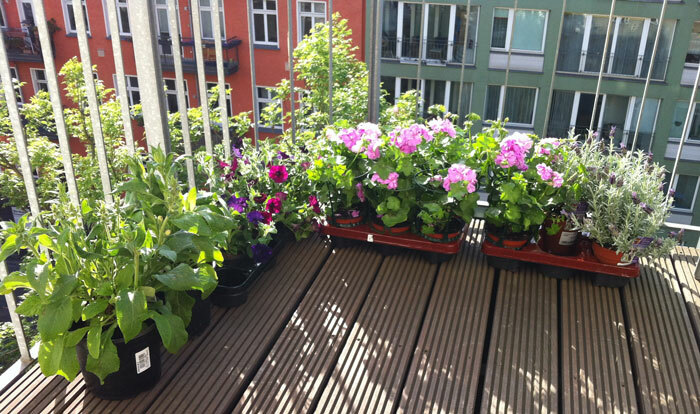 So what plants are hardy enough to withstand the vagaries of wind and weather on a balcony? Why You Need an Elevator at your Residence? There was a time when the installation of elevators in the residence was either considered a luxury or a necessity for people with medical conditions. However, with the lowering price of elevators, people who want to improve their way of living are now commonly installing them in their homes as well. Many countries are even passing laws nowadays and making elevator installation mandatory in buildings with more than 3 stories. On the whole, elevators can be quite useful and following are some of the reasons why you need one at your residence too. As you sow, so shall you reap — so sow well to reap the benefits beautifully. A home garden is a dream for many, and being given a chance to design and develop your own is a bounty in itself. In the multitude of plants and beautiful landscape, your house would look like a tiny village with lush green meadows surrounding its edges. Careful planning and projection of different needs is an integral part of creating for yourself an amazing garden, which ensures healthy growth of plants beautifying your garden. Outline a plan on paper or different software. If you have played Farmville, you know what that looks like. According to the covered area of the garden, the sections are to be divided to each plant row and the kinds of shrubs and different organic elements are all to be sketched first. It’s easier switching to a different plan if one doesn’t work rather than doing all the hard work another time. Keeping all aspects in mind, you can plan out the location and design for your garden, type of landscape you’d like to have, which area is dedicated to make a pathway, which one is for vegetables, and much more needs to be planned for in order to maximize effectiveness. People who live in apartment complexes with no access to a backyard appreciate their balconies as a place to relax and enjoy the fresh air and sunshine. And naturally, they also like to grow some kind of greenery on the balcony – it seems to be an inbuilt need for most people to have something to do with living plants and earth. Many balconies are ideal for growing plants on. Even those that don’t get much sun can be used to grow shade-loving plants. However, a balcony is a tiny place and care must be taken when creating a garden with pot plants, otherwise it will risk looking crowded or piecemeal instead of attractive. 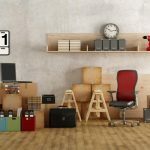 In fact, it is easy to overcrowd such a small space and then you don’t feel comfortable sitting there – if you can even fit your easy chair in. Here are some ideas to help you with your balcony garden design. Use lightweight pots. Not only will it be easier to move them around, it will reduce the overall weight on the balcony. It’s a good idea to check what weight the balcony can bear as pots filled with moist potting mix and plants can be heavier than you may think. Landscaping, adds to the outer appeal of your house. However, a lot of people do not like making expensive investments on their house’s exterior after having spent a large sum on a new house. Luckily, there are many options available for people who want to indulge in landscaping or green living without excessive costs. 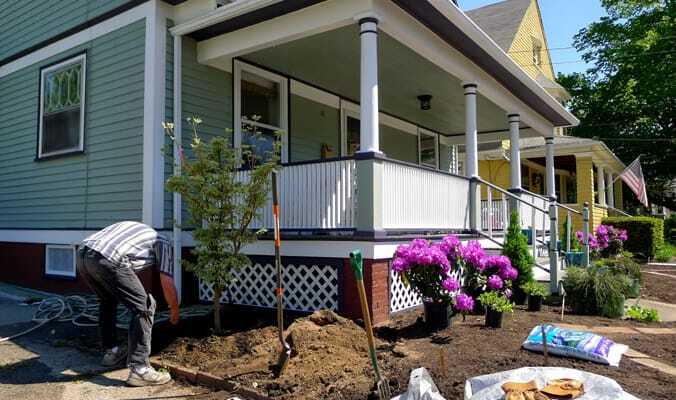 One of these methods is the use of recycled materials for landscaping without compromising on the exterior of the house. Recycling is also a way to reduce waste, so in a way, you are not only saving your money, but also reducing the waste you produce. 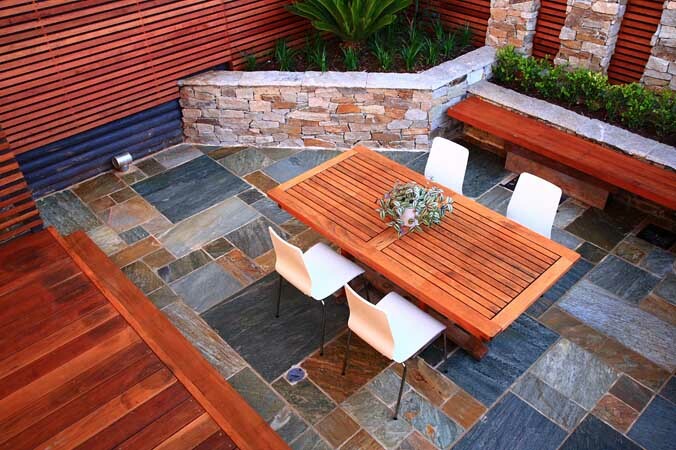 You can achieve a striking garden by utilizing even the simplest of recyclable material. These materials are of three different kinds, which include; salvaged items, garden refuse, and recycled content. Below are a few of the items that are recycled for landscaping purposes. We all have broken a dish or two occasionally, and then have thrown them away no matter how beautiful they were, but now, you can use them in your recycled landscaping project. The broken pieces of dishware can be used as little decorative pieces. You can shape them in any texture you like and paint them with the color of your choice. 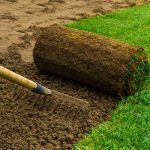 To create a new garden, cover it with any old carpet for some weeks and you will notice corrosion of the grass under the carpet, which will ease the digging process. You can also create lanes with the help of a woven carpet and then add stones over it. Naturally, the more spacious the cabinets are, the more there is room for crockery and cooking utensils. With more storage space, you’ll be able to organize the kitchen equipment and everything else in this particular area of the house better. Snacks and other edible items can also be stored in kitchen cabinets along with cooking items. You could even completely skip the food pantry if you have big airy cabinets in your kitchen providing enough room for food items’ storage. 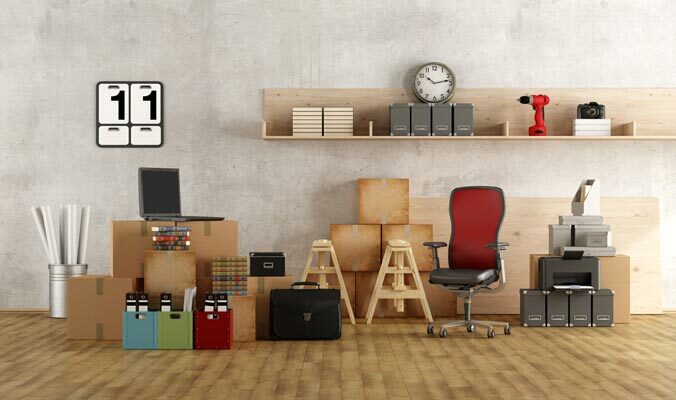 A tidied space is what a neat freak dreams of, or anyone, actually. If the kitchen cabinets are spacious, they naturally have more room for storage, and that leaves the counter-tops tidy most of the time. These spacious cabinets can also be used for keeping dustbins in one of them and cleaning solutions under the sink; no more having to have these items on display. 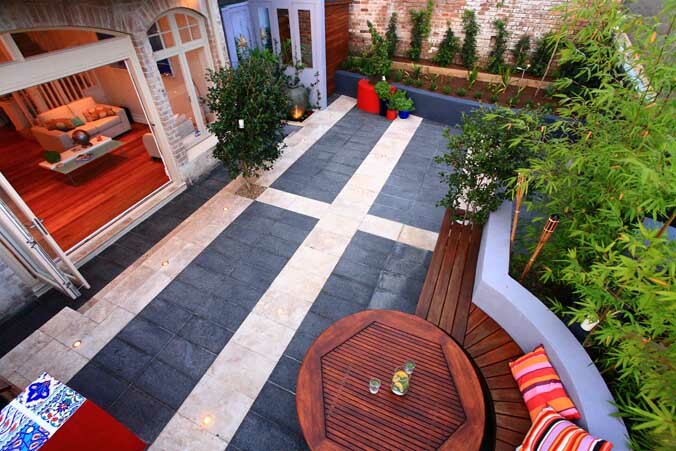 A yard is often the most undervalued part of the house, but it shouldn’t be. This is because it can make the difference between an ordinary and extraordinary home. 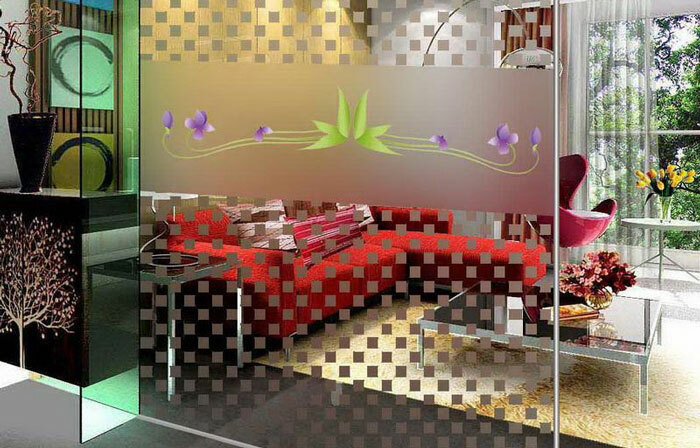 It is the first thing that a visitor sees, and it makes an impression on them with regard to the upkeep of the interior. Hence, spending money to make the yard look appealing will never be a waste, especially when you decide to sell your house later on. 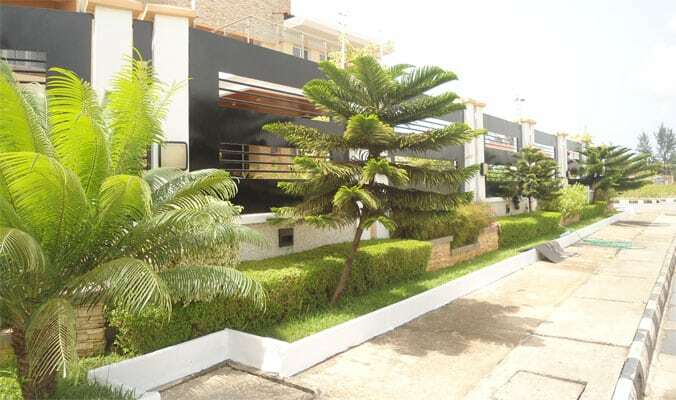 The beautiful yard will, in fact, increase the value of your residence and attract potential buyers easily. According to a research, a garden increases the value of your house up to 20%, so it is necessary to keep your garden groomed if you want to get the right price for your home. Following are the ways you can use to beautify your house and increase its worth. Maintaining the garden and watering it every day is time consuming. 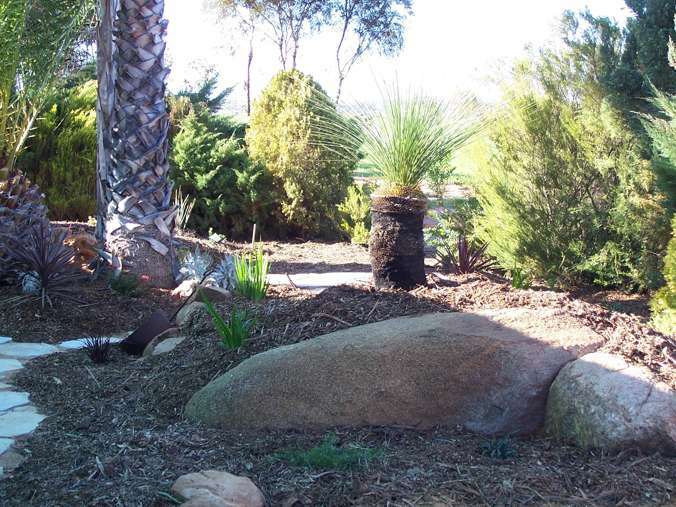 In order to make the task easier and simpler, reticulation should be installed in the garden. This will help in watering the grass and plants through pipes to boost their healthy growth. 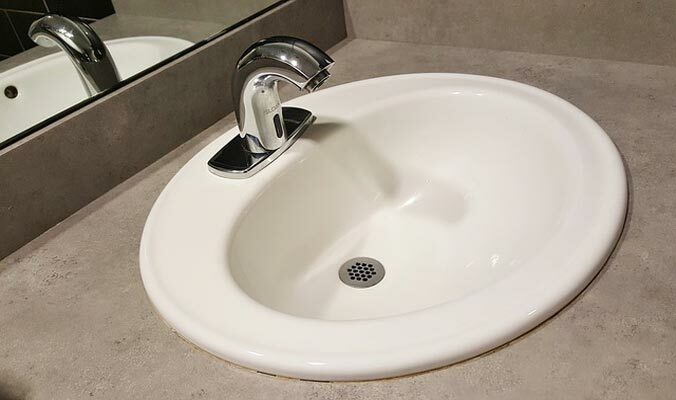 The only effort you will then have to make is turning the tap on and off, and the rest of the work will be done automatically through water flowing from the pipe line. This will keep your yard looking greener than ever before. If you want people to notice your yard, it needs to stand out. For that purpose, add colours to the garden, not just by planting colourful flowers and different kinds of plants, but by installing and painting the fence as well. To make it look more alluring, add decorative pieces such as lanterns and other interesting objects. A lot people also invest in fountains to make their yard look amazing. Fixtures like waterfalls and fountains really boost the atmosphere of the exterior and create a positive impression on potential buyers. 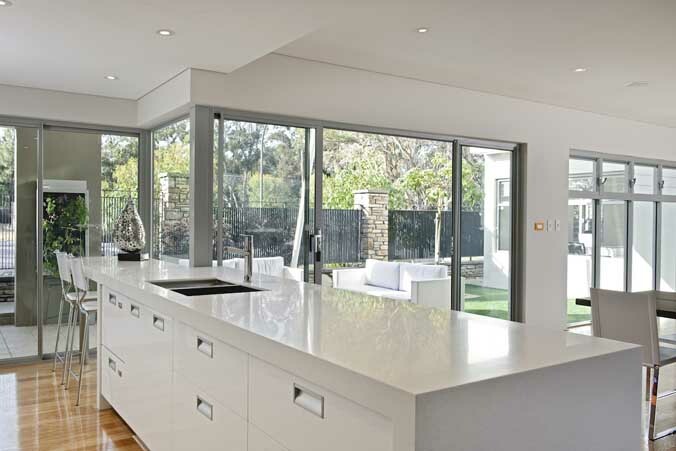 The personal taste has a lot to do with the style of kitchen one would choose. Some may want a comfortable granny like look while some may go for bright hues and sharp edgy style. An approximation of the period one expects to live in the same property plays a vital role in selecting kitchen styles as well. 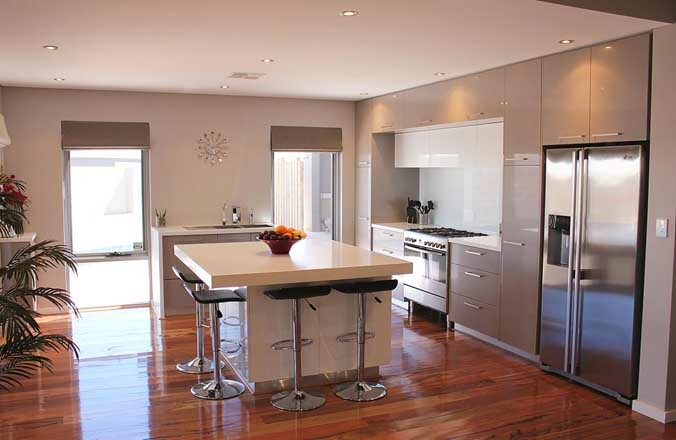 The budget is another key factor when looking for kitchen design ideas and selection is done accordingly. The dominant style of the house has to be matched with the kitchen style, and if the other interiors are already in line with that style, the kitchen needs to be adjusted according to the overall aura. Research and exploration is done before deciding on the interior style to choose from, but generally, the decision centers on personal preferences and ideas. Want natural light to stream in to your restaurant, bathing the whole place in the invigorating rays of the sun in style? Use glass dividers. Restaurants seeking transparent space utilization will find glass dividers as the perfect solution. Glass dividers are made of tough material and can glide smoothly along an overhead track system. You’ll find glass dividers in fixed, sliding, folding, and movable configurations, and they can be either textured or clear. The choice between the available options largely depends on preferences and use. Glass dividers serve multiple purposes, especially in a restaurant. However, it is important to know the best kind of glass dividers for restaurants to be able to make the right choice. Let’s look at some of the ideal glass dividers for restaurants. If you want to partition the space in your restaurant while adding décor to it, stained glass dividers are a good idea. Without blocking the light, these dividers provide privacy. You can divide the space in your restraints into two parts by using stained glass dividers, or use them to partition the different areas of your restaurant, for instance the dining area and the kid’s playing area. Buying a pool is a long term decision. Therefore, you need to contemplate, and then decide whether you truly want to make such a big investment in it. However, the decision is never easy and people often end up making blunders which cannot be fixed after they have bought the pool. 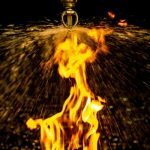 Following are the 3 mistakes you need to avoid so that you don’t regret them later. 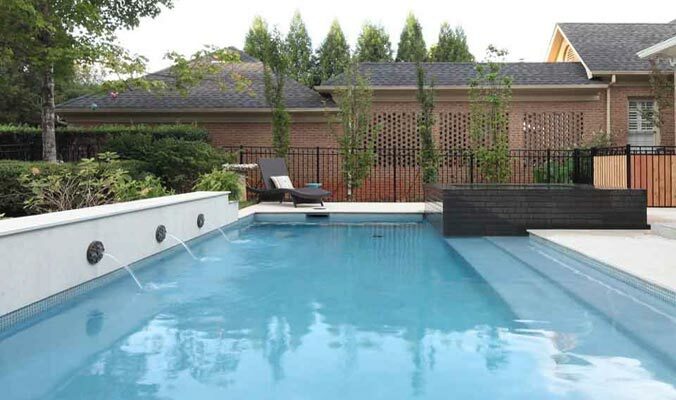 Before you buy a pool, you need to list down the reasons you will be using that pool for, and choose the design, size, and shape according to it. Pools can be used for multiple purposes so make sure you opt for the design that fits all possible uses. It is necessary that you have these things in mind before you meet your pool contractor. 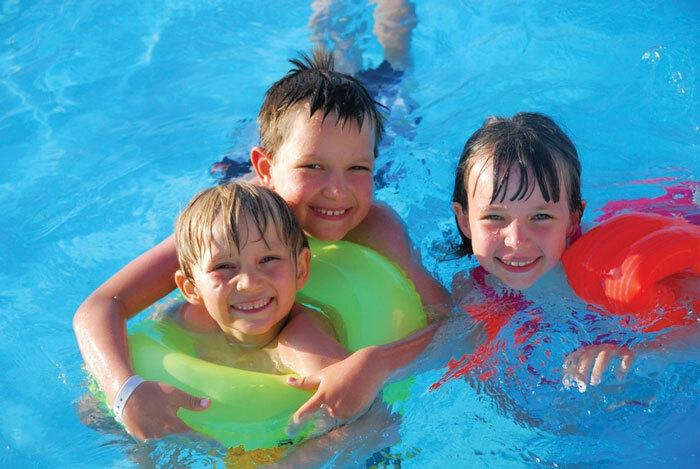 If the sole purpose of having a pool is for family entertainment, then you need to make sure it is safe for use for children as well. 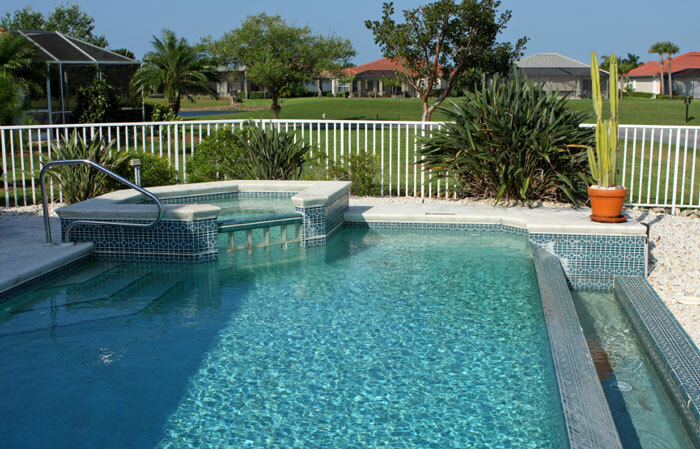 You can install safety features such as fences and gates to ensure that pool is only used under adult supervision. 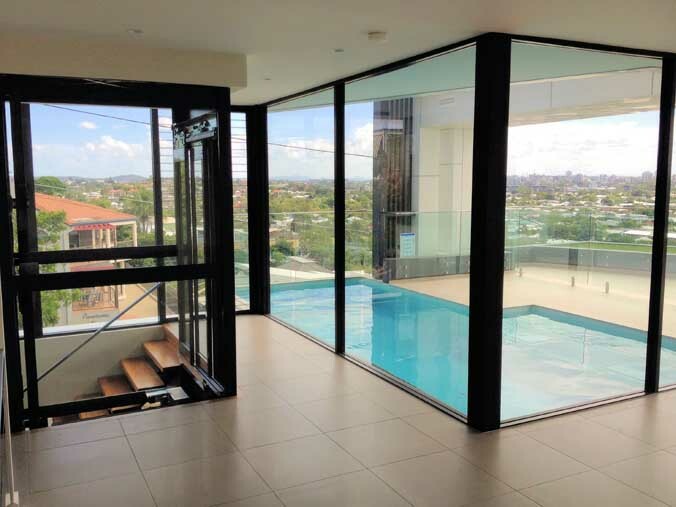 Additionally, if you are installing a pool to enhance the outlook of your yard, then things like access for the contractor for excavator hire, lighting and an exceptional backdrop can be utilized which will lighten up the mood of the area. Similarly, pools built with the objective of swimming laps for competitive sports are long and deep, as compared to pools built for exercising or recreation. Glass partitions are a common part of huge office designs, accentuating the interiors with a sleek and elegant look. With sophisticated aesthetics and various benefits, glass partitions are popular in office premises instead of wooden partitions. Appealing to both staff and visitors, glass partitions in offices create a great visual appeal and the halls look more spacious and filled with natural light. It is better to hire a professional to design the office space with glass partitions as the selection has to be careful and within the budget for interior decor. 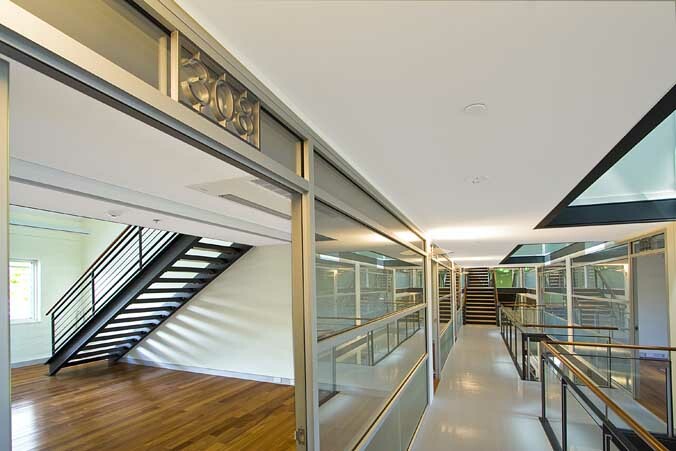 Glass walls, for instance, are an attractive option for glass partitions in offices, making for an upscale look in the interiors of the workplace. 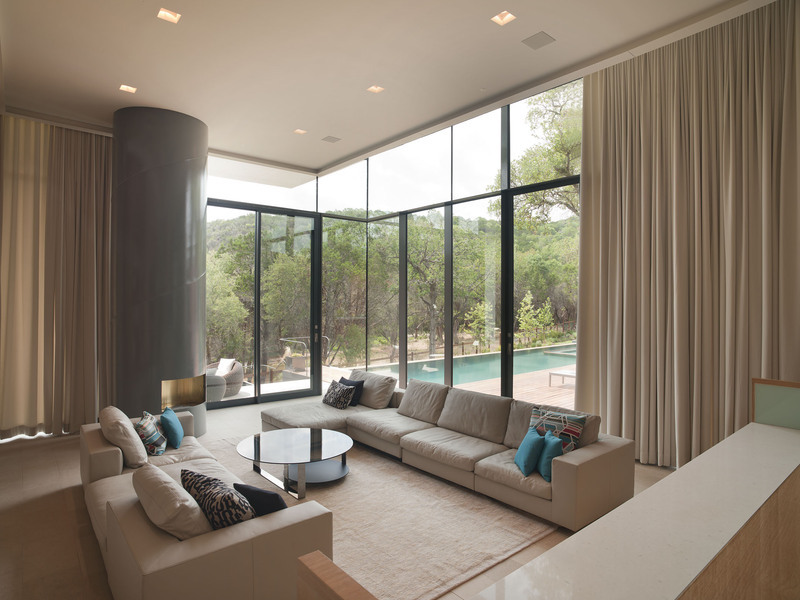 These glass walls could be tinted or clear, depending on the requirements. Sliding glass doors are another option to provide glamour to the office space that effortlessly divides the area and creates a modern look with various designs available. Glass partitions between cubicles are usually the ones with designs so to consider the need of privacy while amalgamating the energy of the entire space. Framed partitions and frameless partitions both are readily available in the market and are up to the choice of the customer to select, both however, look stylish in their own unique way.